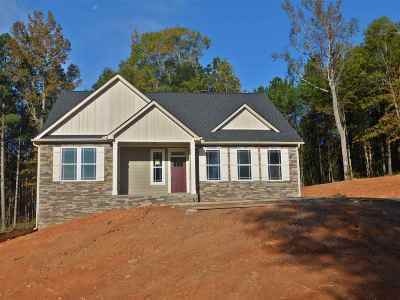 ROOSEVELT PLAN - The Roosevelt Plan is quickly becoming a popular option for those that want an open layout! 3 BR plus a study off of living room. Large kitchen island with bar space that overlooks the living room. Spacious master suite with elegant master bathroom.The subdivision features a pond with a public dock, walking trails, a rec center and a playground for the kids. Come see all that Cane Creek has to offer. Contact Nick Allen at 864-266-5198.